In Stephen King's "most ambitious and accomplished" (NPR) and "extraordinary" (USA TODAY) #1 New York Times bestselling novel, time travel has never been so believable. Or so terrifying. Life can turn on a dime--or stumble into the extraordinary, as it does for Jake Epping, a high school English teacher in a Maine town. While grading essays by his GED students, Jake reads a gruesome, enthralling piece penned by janitor Harry Dunning: fifty years ago, Harry somehow survived his father's sledgehammer slaughter of his entire family. Jake is blown away...but an even more bizarre secret comes to light when Jake's friend Al, owner of the local diner, enlists Jake to take over the mission that has become his obsession--to prevent the Kennedy assassination. How? By stepping through a portal in the diner's storeroom, and into the era of Ike and Elvis, of big American cars, sock hops, and cigarette smoke... Finding himself in warmhearted Jodie, Texas, Jake begins a new life. 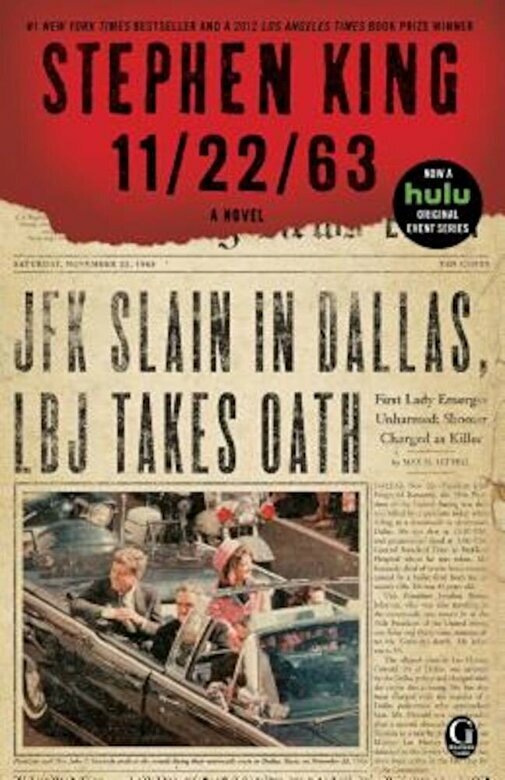 But all turns in the road lead to a troubled loner named Lee Harvey Oswald. The course of history is about to be rewritten...and become heart-stoppingly suspenseful.